The Conversion Committee, emboldened by the great success it has had in converting Second Edition cards to First Edition, has decided to expand its area of card selection. "Why limit ourselves to Second Edition?" asked designer Allen Gould. 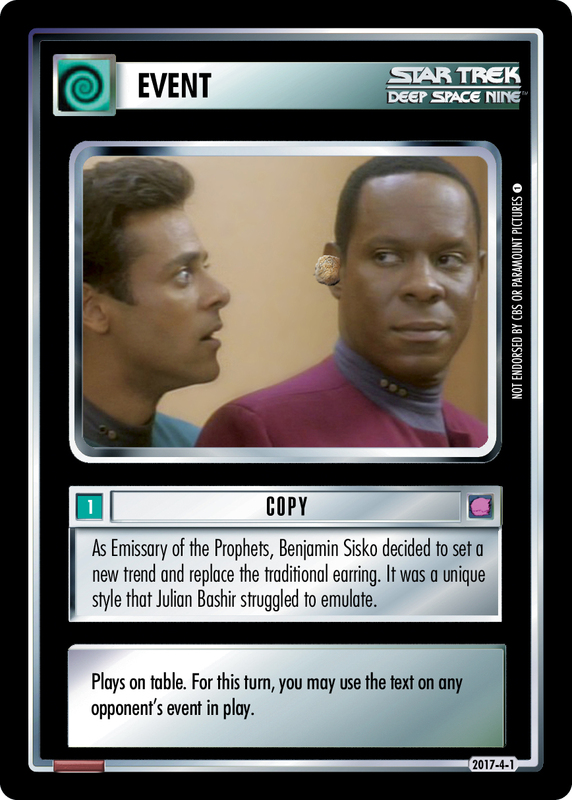 Suggestions were made within the team of adapting NetRunner cards, or Magic, or Star Wars. In the end, the team decided to at least start with a game which is closer at hand: Tribbles! Every (non-Trouble) Tribbles card already has an equivalent in the 1E game, of course, for example 1 Tribble and 100 Tribbles. "It's the powers that matter this time," said former Brand Manager Cristoffer Wiker. "Score was dead easy to write as a First Edition card, it hardly had any change. The others took some work." 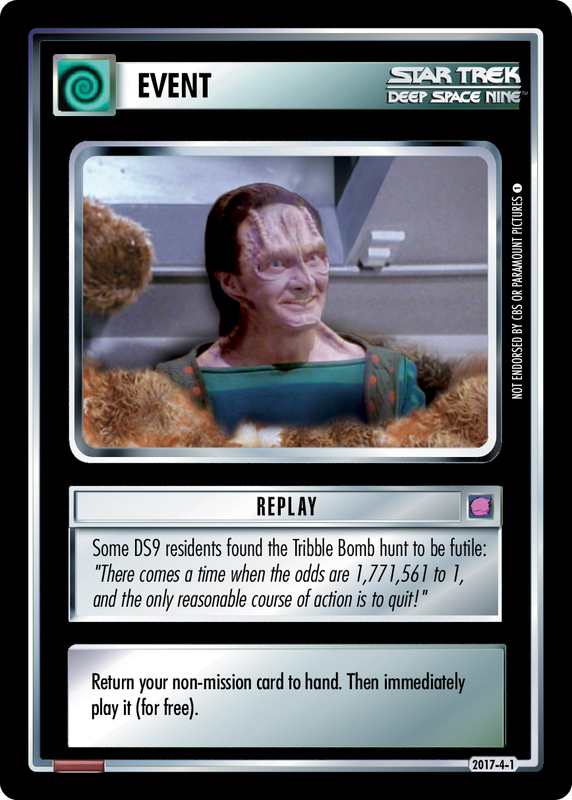 Indeed, trying to adapt references to the "play pile" proved challenging, not to mention the assumption that every card has a denomination of tribbles. Not all of the proposed cards survived their Rules and Playtesting stages. In Playtesting, Skip was flagged as too similar to (and stackable with) Horga'hn ... and Reverse was deemed "less useful than Barber Pole." 4On the Rules side, BiJ was rejected because it tried to affect tournament VP... and "We can't even figure out what they were trying to do with Toxin," said Rules Master Jon Carter. Like the converted cards from Second Edition, Tribbles conversions will not be limited to an expansion of their own, but will be sprinkled across various First Edition expansions. And if they are a success, as we're sure they will be, then you can expect to see cards adapted from those other games. In other words, stay tuned for My Little Porthos (Warp Drive is Magic)!